Our focus is making cities for people. .
Our urban design services span across all scales, from strategic visions to design and implementation. Our clients range from mayors, city administrators, NGO’s, developers, private and public organizations. We work with our clients to develop strategic recommendations for their cities, which are informed by our analysis of the existing public life, and the quality of the public space infrastructure in their cities. Our urban strategy work began to take on different dimensions with impactful projects anchored in national governments, international organizations, and hyper-local community groups. At the National level, and in collaboration with the Chilean Ministry of Housing and Urbanism (MINVU) we developed a People-First guide to invest and measure the impact of public space investments across the country. We are now working with municipalities to translate these national guidelines to local conditions in Valparaiso as a test to scale up across a variety of other cities. In Dhaka we are working with the World Bank to deliver people-first analytics and rapid prototyping along the Buriganga River. 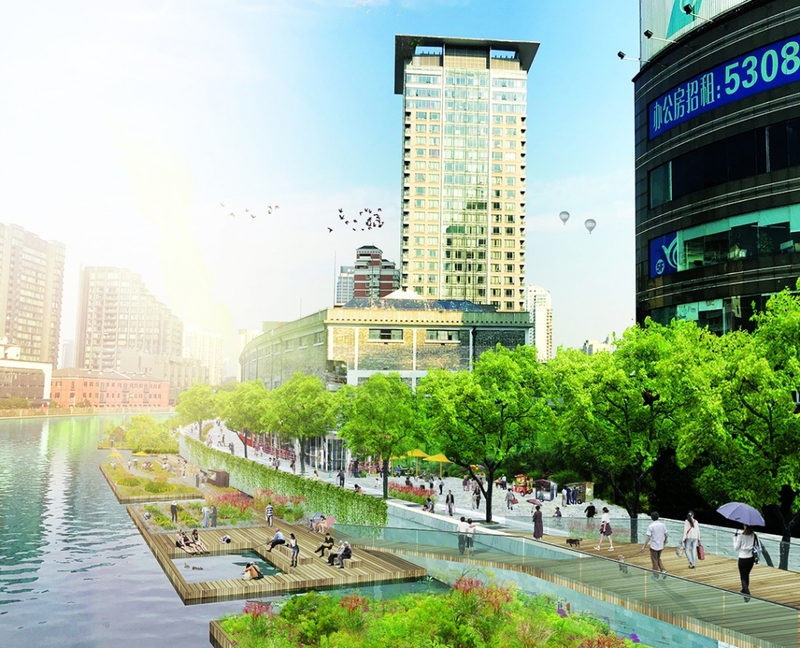 The heavily polluted river and congested waterfront and ferry terminal can potentially be a vibrant and inviting public open space. Working at a much more local scale in collaboration with Kresge, Gehl Institute, and the Summit Foundation in Washington DC, we created a local public art framework to employ local artist and community talent to improve the public realm in some of the poorest neighborhoods in DC. The framework empowered local artists and citizens to create interventions relating to everyday activities like waiting for the bus, celebrating local talent in music and dance, and sharing local news. 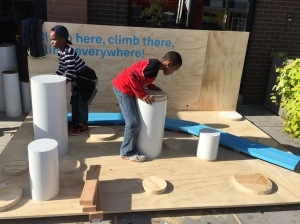 The impact of the small and temporary interventions is still being felt, making it easier for community groups to more effectively interact with the City planning and transportation departments to build long-term trust. With support from the Knight Foundation, we continued to work closely with the Downtown Akron Partnership (DAP) to help make Downtown Akron a vibrant, livable place. Through public life measurements and simple public space prototyping, we learned that thousands of daily office workers, university students, and hospital goers visit, work, and study downtown, yet downtown Akron has very little public life and street activity to show for it. 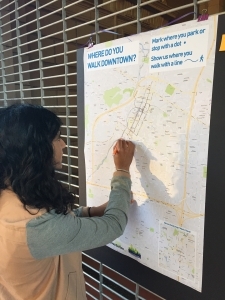 Over the next year, DAP and Gehl aim to invite people outside to participate in public life by implementing “The Link”, a 3/4 mile multi-faceted pilot project that will use design improvements and programming to better connect the University of Akron, The Children’s Hospital and Main Street. 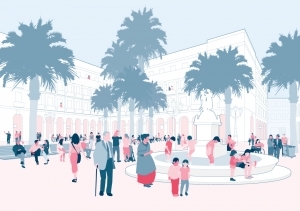 Finally, we have worked with Municipalities in Europe to provide strategic advice on the future improvements of city centres from a public space and public life perspective. This work include Bern where the focus was on how to provide a contemporary public space framework in a historic setting without losing the identity and character, as well as Sofia where we worked closely with the municipality and a local NGO Placemake to develop the thinking on how Sofia could be improved for active mobility and recreational purposes in the years to come. In Prague we developed an approach on how to gradually transform Magistrála, a major transport corridor, separating the old historic city centre from the neighbourhoods outside the core. Gehl has applied this methodology to help major cities such as Sydney, Melbourne, Perth, Adelaide, Chongqing, Moscow, New York, Seattle, London, Copenhagen, Stockholm, Oslo, Muscat, Amman and Cape Town on their ‘City Centre Strategies’. We have also worked with and applied the PSPL Strategies to a number of medium sized cities and towns around Scandinavia, UK and Europe, such as Apeldoorn, Brighton, Hammer, Horsens and Helsingborg. We collaborate with our clients to design public spaces and larger public space networks, which are informed by existing usage patterns and the proposed programming of future activities in those spaces. Building on our previous mobility and strategy work in Huangpu district, Shanghai, we were able to follow up with detailed Public Space Planning & Design for the Beijing Road area including detailed design for Taiwan Road alleyway and several surrounding streets and waterfront areas, transforming the recommendations and strategic thinking into good design practice for streets and public spaces in Shanghai. We have also helped design both physical pilot projects and a process around the implementation and evaluation of the projects for Haninge in south Stockholm. We are thrilled to continue our work with Related Companies, named one of the 50 most innovative companies of 2017 by Fast Company. In a shifting retail landscape where consumers are increasingly prioritizing experiences over transactions, Related Companies hired us to help them spearhead a people first, public life driven transformation of a 20 year old mixed-use project located in downtown West Palm Beach. Building on a Gehl led district wide data driven public space strategy, Gehl is now re-designing the key public plazas and streets within the project for permanent transformation by late 2018. We are developing an experimental framework to guide investment in a rich array of near term public art activations, pop-ups and pilot projects throughout the site. Site-wide physical transformation, comprehensive re-branding, innovative temporary activations, and exciting world class art installations are all part of this exciting effort to transform what was once a retail project into Rosemary Square, a vibrant cultural anchor in the middle of downtown West Palm Beach. Last year, we worked with Envision Downtown in Pittsburgh, PA to craft a Public Realm Action Plan based on a downtown-wide Public Space Public Life survey. This year, several pilots from the Action Plan were implemented. ‘The Great Route’, connecting Pittsburgh’s world-class Point State Park to downtown’s bustling Market Square, was piloted with new creative crossings and other elements. The Action Plan identified Liberty Avenue as a major opportunity for improving public life downtown. Gehl worked with Sam Schwartz Engineering and Transit Center to craft Life on Liberty; a Streetlife Plan for Liberty Avenue. 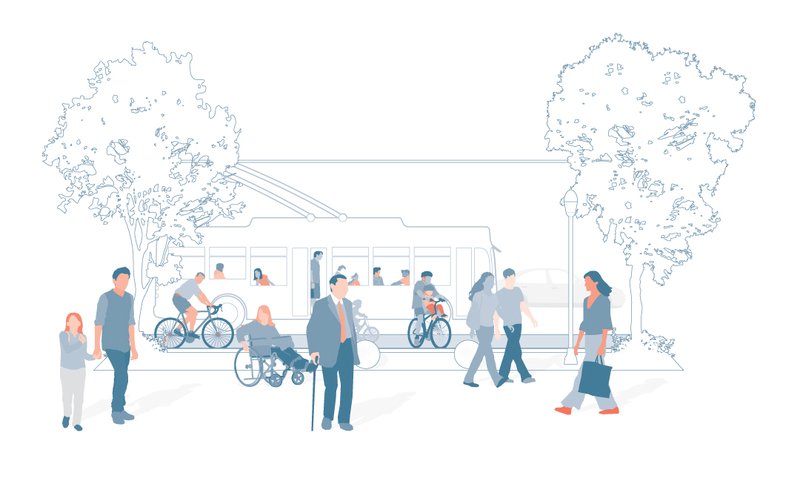 Life on Liberty proposed a new layout for the street, re-organized congested bus stops, introduced a bus stop quality criteria, and a framework for streamlined decision-making and implementation – all within a framework that was piloted this Fall. We can’t wait to watch as the city’s new Department of Mobility and Infrastructure takes these recommendations forward. Finally, Gehl is also working on the re-design and re-imagining of San Francisco Civic Center public realm. It’s a once in a generation opportunity to rethink this important civic and public space and update the design, programing and stewardship for the 21st century. The project began with a large scale PSPL and continues with the development of public space concept design in collaboration with the Landscape Architecture group CMG. Gehl has co-developed a number of People First Design projects, including Brighton New Road in the UK, Ashrafieh Square in Amman, Al Mawalih Souk of Life in Muscat, Vale do Anhangabaú in Sao Paulo, George Street in Sydney, Public Space Plan in Horsens, Harborfront Public Space Plan and Public Space Steering documents in Oslo. 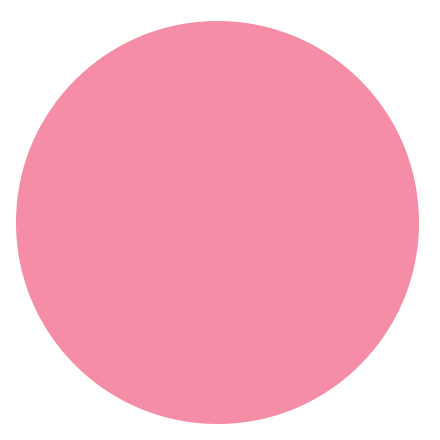 We work with our clients to develop a vision, set of guiding principles, and a network of public spaces, which promote ‘life’ in existing and new developments. In contrast to a traditional masterplan, which relies mostly on building architecture, the Gehl Masterplanning Framework offers flexibility, iteration and adaption through careful programming and a process which allows ‘life’ to unfold as a first phase. Masterplanning Frameworks offer a process of collaboration between stakeholders, as well as a value-based approach to the development of neighborhoods and districts, such as mixed use developments, social housing areas, campuses, harborfronts and other brown-field sites. We have worked on a large development project this year in Nordelta in Argentina, where Gehl has been the urban design lead and masterplanner for the central area of the district and helped to create the strategies to open-up the community which is presently gated. In Spelhaugen, Bergen we worked for a private developer Angarde at a site connected to the new light rail, making a masterplan for a mixed used development, providing sustainable mobility solutions and high quality public spaces, as well as water management which is integrated into the landscape design. In Germany we are working on a new urban concept for an IKEA neighbourhood including IKEA stores, retail offers, homes and offices in Cologne. 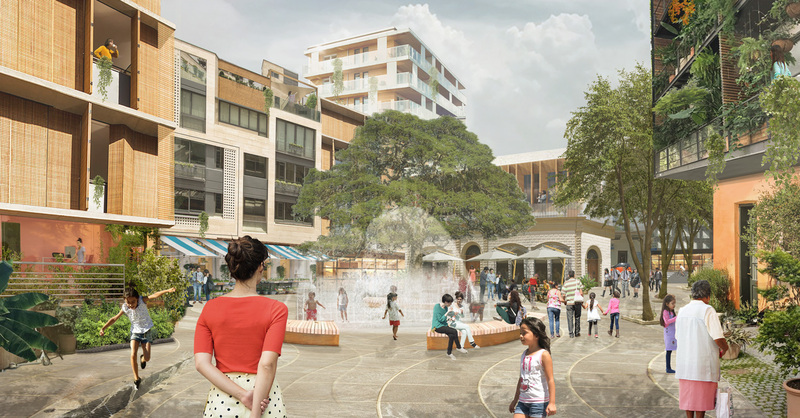 In Monterrey in Mexico, we have been working with the Universidad Regiomontana on a masterplan for their new campus and a new mixed-used development in the Distrito Purisima-Alameda, a historic neighborhood that is slowly revitalizing after decades of neglect. We also continue to work with Wesgroup, one of western Canada’s largest private real estate companies, on the development of the River District a 140-acre former brownfield site along the Fraser River. We began our relationship with Wesgroup with an early activation project, and are currently working on a 30-acre phase 3 masterplan. Gehl has created Life Space Building Frameworks for Lille, Bjørvika in Oslo, An Camus more, Kävlinge, Køge Sygehus, Bispebjerg Sygehus, Aarhus harbor, Pittsburg Cultural Precinct and Carlsberg Brewery sites in Copenhagen. We work closely with our clients, as a trusted change partner, in all planning and development stages, to ensure that they plan their cities with people in mind. The Gehl methodology of first life, then space and finally buildings offers clients a new framework with which to design and manage the process of change in cities. In Almaty we are continuing our collaboration with the municipality and assisting them with internal capacity building as well as providing guidance on implementation projects that are the results of the urban strategy we did in 2015. 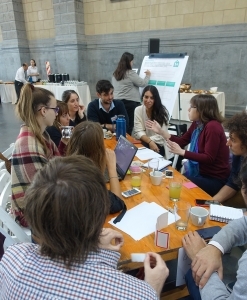 We began our work with the City of Buenos Aires in February 2017, embarking on an ambitious process of making the entire municipal government more people-focused and more evidence driven. Working in close collaboration with the Secretary of Planning, Evaluation & Management Coordination, we devised a process to engage all departments of government in a co-creative process to deliver a 10 year action-plan to not only promote the next renaissance of Buenos Aires in Latin America, but also to help propel the City to a global leader position. The process engaged hundreds of city staff providing an opportunity to develop a common vision and working process across departmental silos and to coordinate and share knowledge. 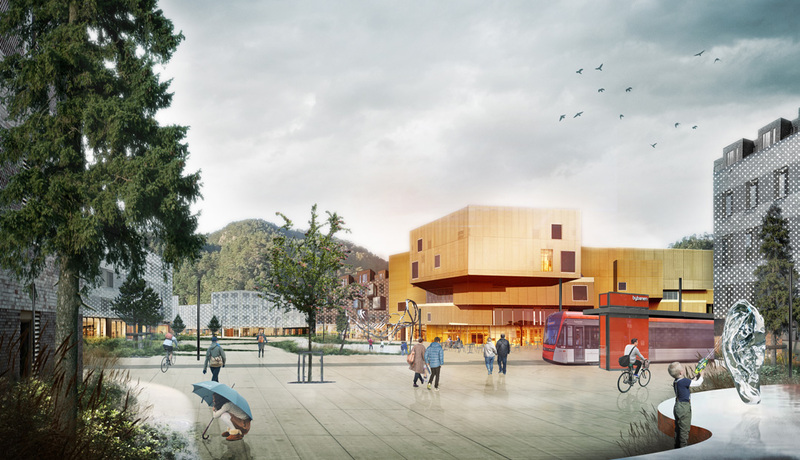 Gehl has helped the cities of Christchurch, Gothenburg, Lille, Kävlinge, Breivoll, Oslo, Apeldoorn, New Yorkand Sao Paulo to facilitate people centered planning and development. With the Public Life service, we help our clients to understand and measure how public space is performing for people, and develop actions for how to improve it. Earlier in the year we formed a partnership with Gehl Institute and the City of Copenhagen, San Francisco and Seattle, to develop an open source protocol for public life data. 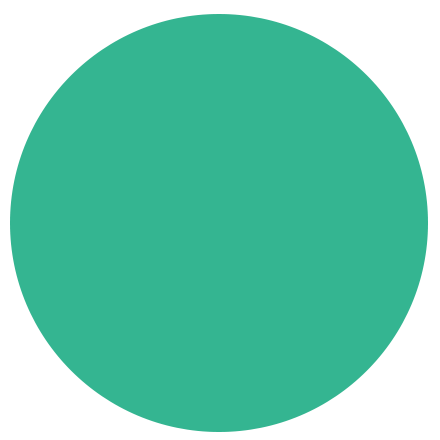 The protocol was launched in a beta version at the Public X Design convening in Philadelphia in October. Surveying public life and making people count by making them visible for decision makers in planning and design processes is at the core of what we do and how we think. 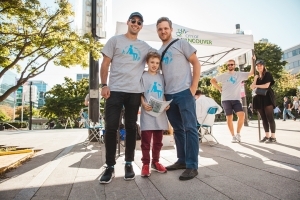 This year we have successfully performed Public Space Public Life surveys (PSPL) in both Vancouver Canada, Nashville and Akron. In Vancouver the first phase of what is the largest PSPL in the Americas was recently completed. The project area consisted of the entire downtown peninsula and involved 270 volunteers and numerous city staff. The second phase of the project is a winter survey which will happen in early 2018, and the final phase of the project will be to create a series of strategic recommendations to inform the city’s Places for People strategy which is a 30-year framework for public realm investment, acquisition and stewardship. Gehl has worked on Public Life projects with the cities of New York, San Francisco, Mar del Plata, Christchurch and Sao Paulo. 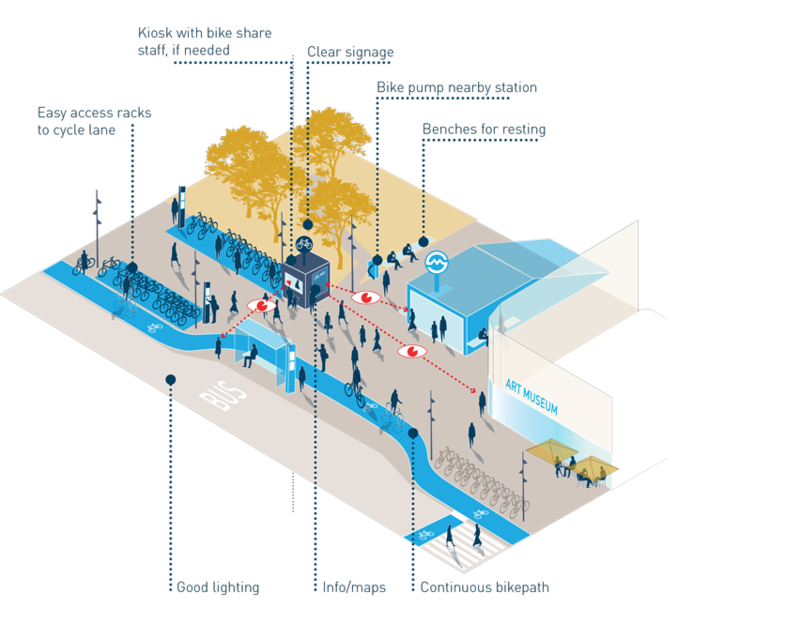 We work with our clients to develop integrated mobility strategies and plans for pedestrians and cyclists in cities. We develop guidelines, tool-boxes and other guides, based on both local conditions and international best practice. In this past year, we have been working with Ford Motor Company’s research arm, Greenfield Labs, building a “National Street Service”. We have been privileged to challenge a major car maker towards valuing “streets-as-places” on par with “streets-for-mobility”. Gehl completed a rapid, 8-week pilot in San Francisco to test ideas about how to change mindsets around what the street is for. The project has gotten recognition from Ford’s new CEO Jim Hackett, who comes from a design background, and has gained traction as a way for the company to think beyond the market of personal vehicles. At the heart of the project for Gehl is a chance to express our values, change mindsets deep within automobile culture and demonstrate the viability of an alternate future for a rapidly changing industry. In 2018 the team will expand the pilot to two American cities. Further we have worked on bicycling projects in the Copenhagen context, specifically on bicycle parking. We have also continued our work with Fonds Kirchberg, Luxembourg, identifying demonstration projects that can assist in changing the mobility patterns. Finally, we are happy to have worked for WHO Europe “Towards Active Mobility in Cities” that focused on collecting great examples of projects that are focused at increasing Active Mobility in a wide range of European cities, as well as setting these into a wider context of why this is important underpinned by statistics stressing the need for action on this. In Cochabamba, Bolivia, we worked with the Inter-American Development Bank to help the local government ensure that the design of a new Rapid Bus Transit system will be seamlessly tied into the public space network of the historic city center. Gehl made recommendations on how to couple this new large infrastructural project, dubbed “Llajtabus” (the bus of the people), with extensive improvements of the bicycle network and the pedestrian realm. Gehl has co-developed People First Mobility plans with Mexico City, New York City, Mar del Plata, Melbourne, Red Deer and London.